It is said that to live well, one should eat breakfast like a king, lunch like a prince and dinner like a pauper. 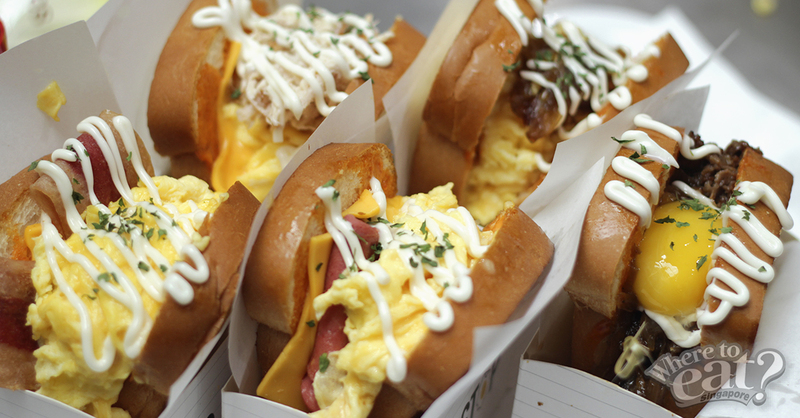 And so, the new Korean-inspired sandwich shack, EGG STOP, has made its way to the sunny shores of Singapore to prove it – bringing a Korean twist to traditional sandwiches with fresh buttery, crisp-edged milk bread that is baked daily! EGG STOP isn’t officially halal-certified yet, but fret not, because every ingredient is kept halal (no pork and lard used) in the meantime. Specialities include the Smoked Chicken ($6.90) and Chicken Ham & Cheese ($4.90). Unfortunately, its vegetarian choice of Avocado & Egg ($7.90) was sold out – so we reckon it’s pretty popular too? Else, if you are looking for something light yet filling, the “Egg Stop Signature” ($4.90) is one perfect on-the-go breakfast that contains caramelized onions, fluffy scrambled eggs, and mayonnaise with a drizzle of specially blended sauce! Have you tried “Gyudon” in a sandwich-form? 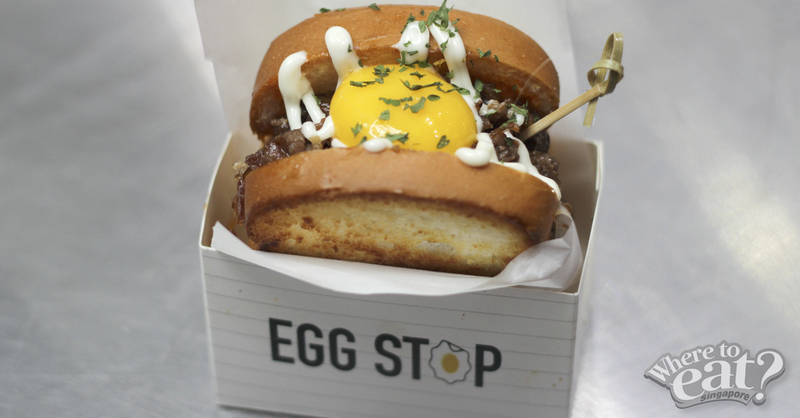 It goes along like that with EGG STOP’s most sought-after sandwich (and also the one we liked best), the Teriyaki Beef Sandwich ($7.40) that is filled with flavourful bulgogi-like beef and caramelized onions, topped off with an egg yolk and signature sauce. For just $2.00, you can add on a drink of your choice to complement your sandwich. So, don’t let EGG-STOP you from having a sumptuous breakfast. JAAN – A Highly-Anticipated Four-Hands Dining Experience You Wouldn’t Want To Miss!